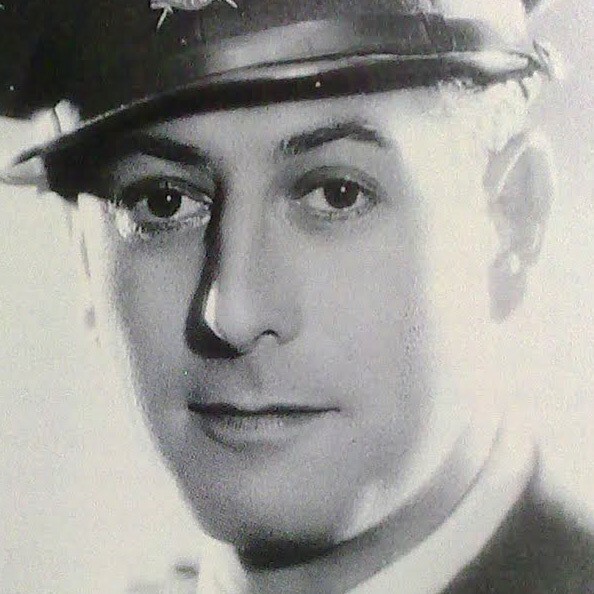 Portugese tenor Tomás de Aquino Carmelo Alcaide, born on 16 February 1901 in Estremoz, initially enrolled at the military academy in Lisboa, then matriculated for medicine studies at the university of Coimbra. At the same time he received vocal tuition from Alberto Sarti, and later on continued his studies with Francisco Coutinho and Eugenia Mantelli in Lisboa. From 1925 he was a pupil of Fernando Ferrara in Milano. He stepped in for a sick Duke in Rigoletto in 1923 at the Teatro San Carlos of Lisboa, but his official debut came in 1925 at the Teatro Carcano in Milano as Maestro Guglielmo in Thomas’ Mignon, which opened the doors for a fairly important career in Italy and Europe: He was the Duke in Rigoletto at the Sociale of Campobasso in April 1926, Faust in Lausanne in May, Rodolfo in La Boheme in Bologna in January 1927. He sang during the season of 1928-29 at the Italian Opera in Holland, 1929 at the Teatro Real in Roma, 1930 at the Teatro Massimo Palermo (the Duke in Rigoletto). 8 March 1930 he debuted at La Scala, where he appeared in Il Gobbo del Califfo by Casavola. He sang at La Scala yet again in December 1931 to an excited crowd in Humperdinck’s opera Königskindern, which completed an eventful year with apperances as Ernesto in Don Pasquale at the festivals of Salzburg, along with a celebrated performance in Rome opposite Claudia Muzio in La Traviata’, Edgardo in Lucia di Lammermoor, the duke in Rigoletto and Pinkerton in Madama Butterly, all at the opera of Monte Carlo and finally a riveting performance in Wolf-Ferrari’s La Vedova Scaltra at the Teatro Carlo Felice Genova. The 1932/33 season he was successful in Bordeaux, France, where he appeared in Massenet’s Manon (December 1932) and Werther (January 1933), along with Verdi’s Un Ballo in Maschera (February 1933) and Giordano’s Andrea Chenier (November 1933). At this point, Alcaide started to enjoy the fruits of his successes in Italy and France in his native country, Portugal, and Spain, and he appered in a number of zarzuelas and operettas in both countries. Alcaide then moved to Paris, where he in 1936 appeared at the Opera Comique as Cavaradossi in Tosca and Rodolfo in La Boheme. 1937-38 he was engaged at the Théâtre de la Monnaie in Brussels, mainly in the French repertoire, where he had debuted in April 1935 in Fedora. With the onset of 2nd World War, Alcaide ceased to appear in Europe and was hired for performances in Agentina and Brazil, predominatly at the Teatro Colon of Buenos Aires and the Teatro Municipal of São Paulo and the opera of Rio de Janeiro. Then followed a series of concerts throughout France and America after the hostilities had ended, before returning to Portugal, where he since 1949 was in a leading position at the Portuguese broadcast in Lisboa, worked as a pedagogue and enjoyed a position with the opera direction at the Teatro Trinidade to Lisbon. Alcaide decided to retire from the stage in 1952, after having appeared in Les Trois Valses a the Monumental in Lisboa in November 1951 and in Justiça de Sua Majestade at the Sá da Bandeira of Oporto in March 1952. He passed away on 9 November 1967.